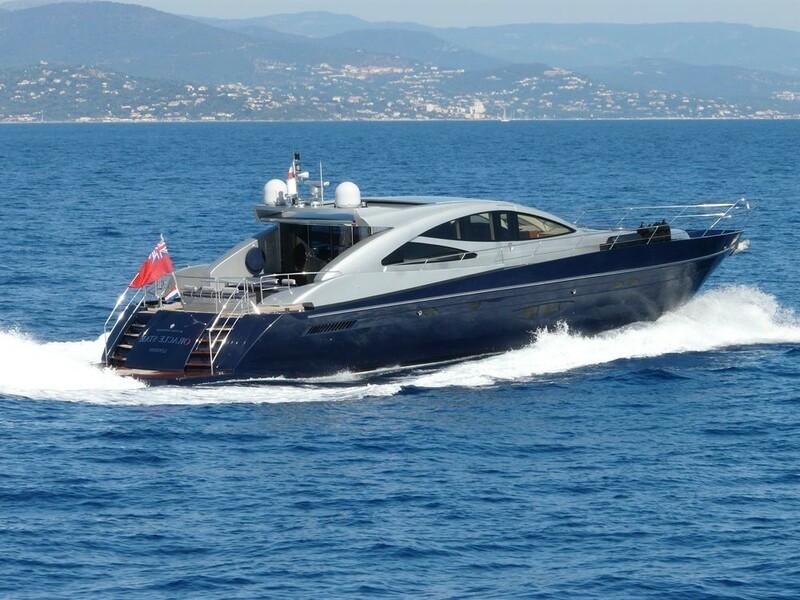 Luxury motor yacht ORACLE II is a 2006 Royal Denship 82 based in Monaco and available for charter in the Western Mediterranean. 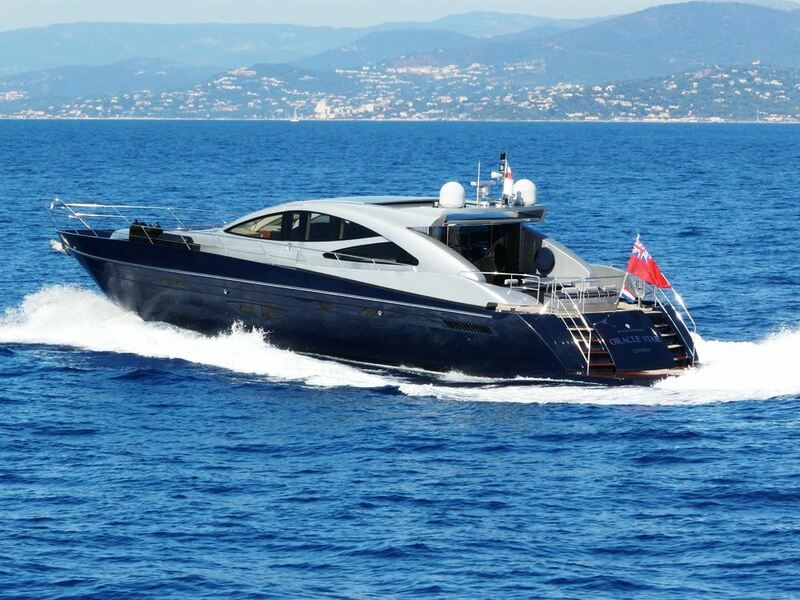 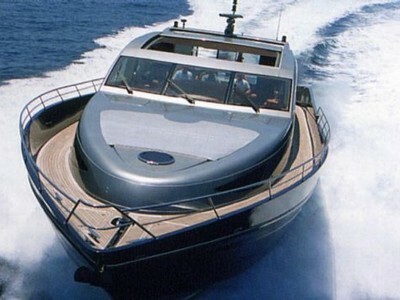 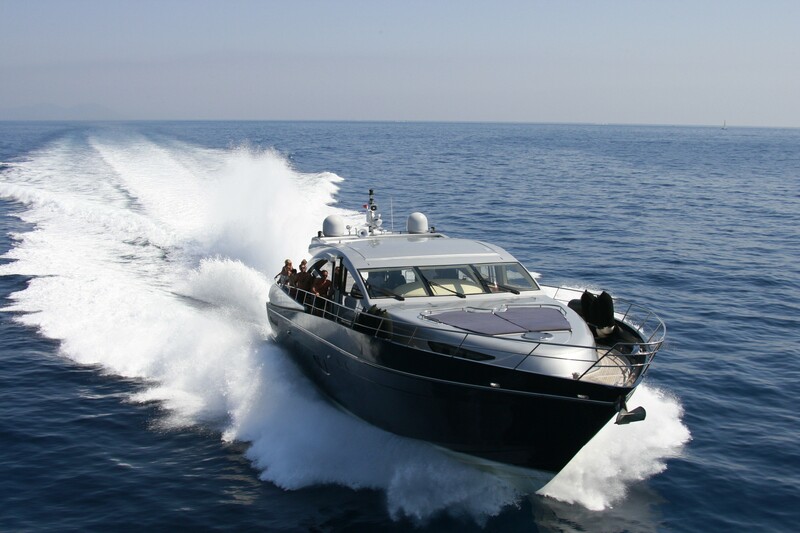 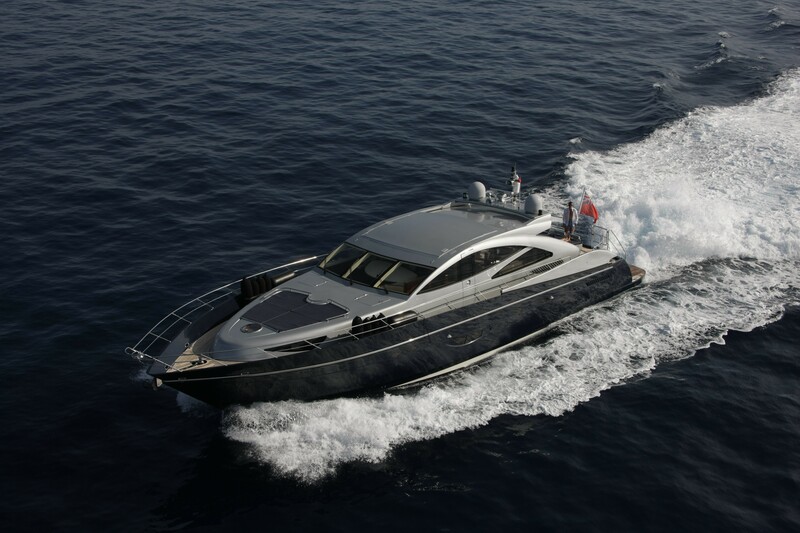 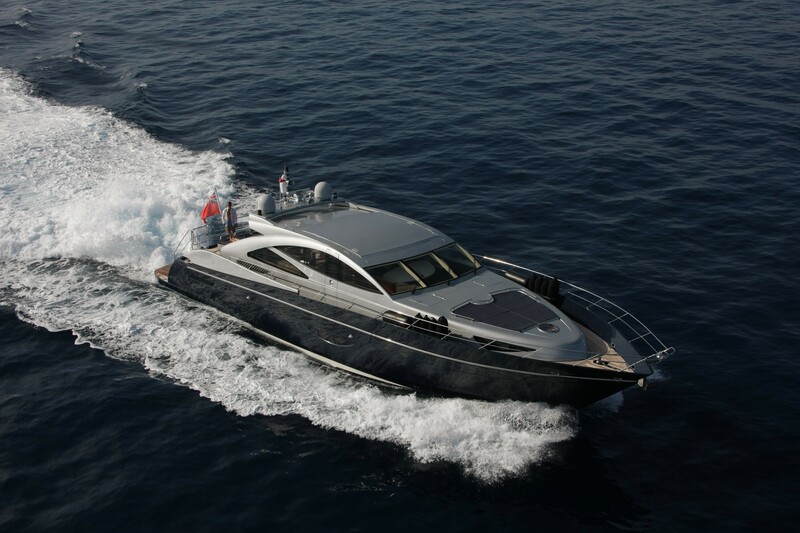 She is a modern and sleek yacht that is also extremely fast offering a maximum speed of 43 knots. 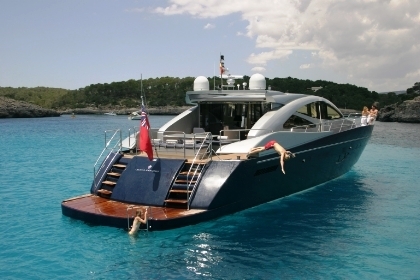 Motor yacht ORACLE STAR I measures 25m (82ft) in length and boasts a sleek blue hull and modern metallic grey superstructure. 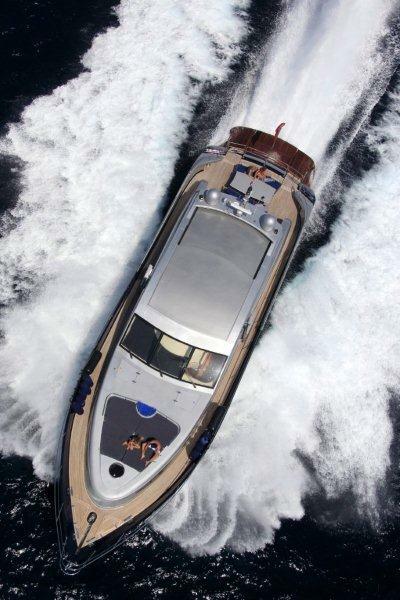 Yacht ORACLE STAR I is the ideal yacht for families and friends alike, with ample exterior and interior spaces whilst capable of exhilarating speeds. 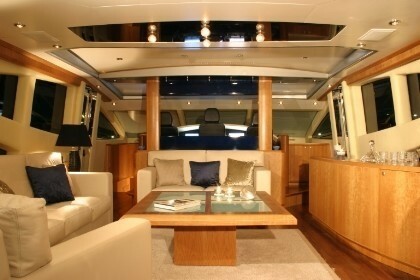 The exterior of Oracle II was designed by Bill Dixon and the interior designer is Design Unlimited. 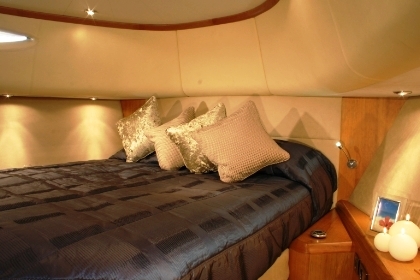 The décor is extremely simple and elegant, with natural cream and blue colours used. Oracle II has four guest cabins so can accommodate eight guests on board – however six seems to be an ideal number for this yacht. 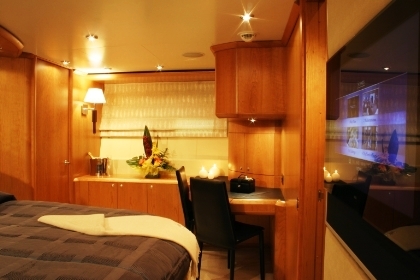 The owner’s stateroom is full beam aft with a large dressing room and private ensuite. The VIP stateroom is forward also with its own private ensuite, and the guest cabins (one double and one twin) are port and starboard, both with private ensuites. 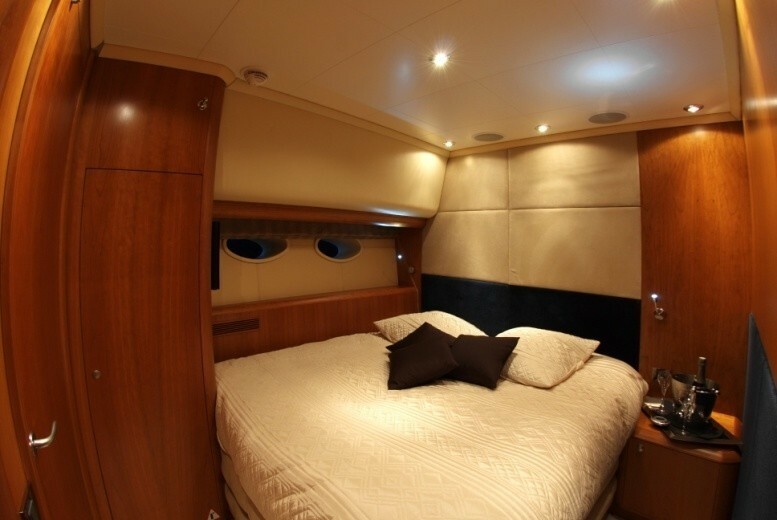 Each cabin has its own flat screen TV with a DVD player. 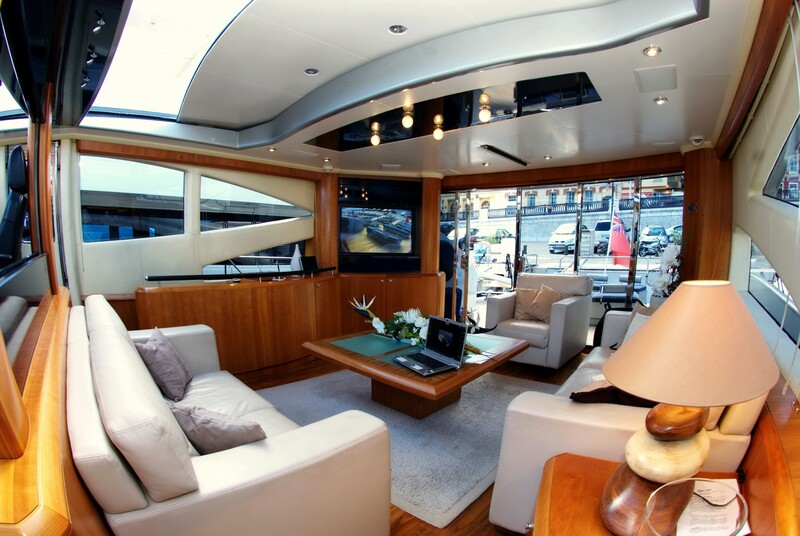 Charter yacht ORACLE STAR I features a light airy salon by Design Unlimited boasting a modern and minimalistic ambiance. 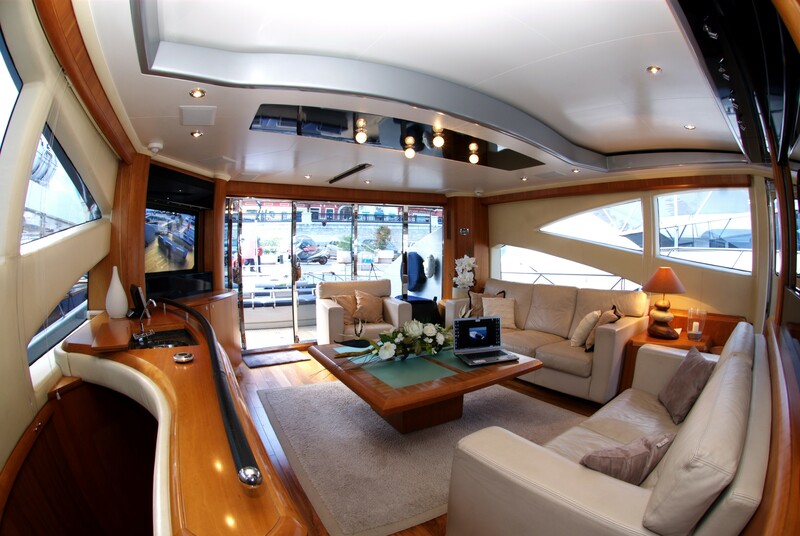 The saloon is equipped with a large flat screen satellite TV and DVD player. The cream leather lounges are large and comfortable, and the table can be raised to create indoor dining in case of rain. Luxury motor yacht ORACLE STAR I features wrap around teak decks. 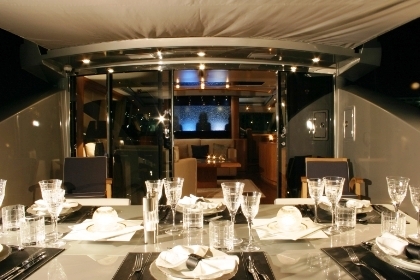 Sliding glass doors open onto the large aft deck and alfresco dining option, a retractable Bimini cover provides optional shade. 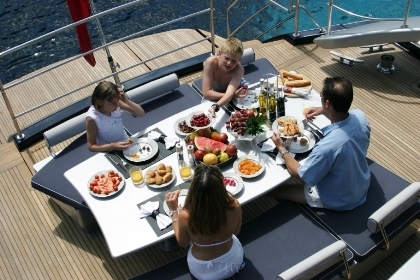 Water enthusiasts will find the extended swim platform ideal for easy water access. 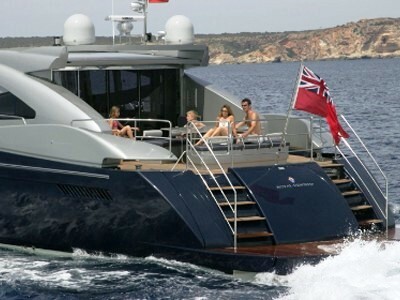 Forward on the yacht there is a very large sun bathing area with comfortable lounge cushions to relax on. 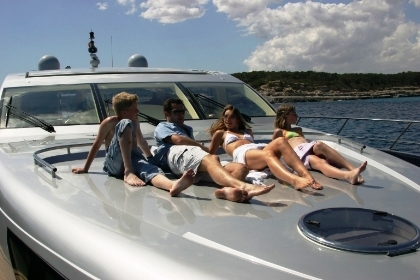 On Oracle II for the guests use is a jet ski, tender and snorkeling equipment. 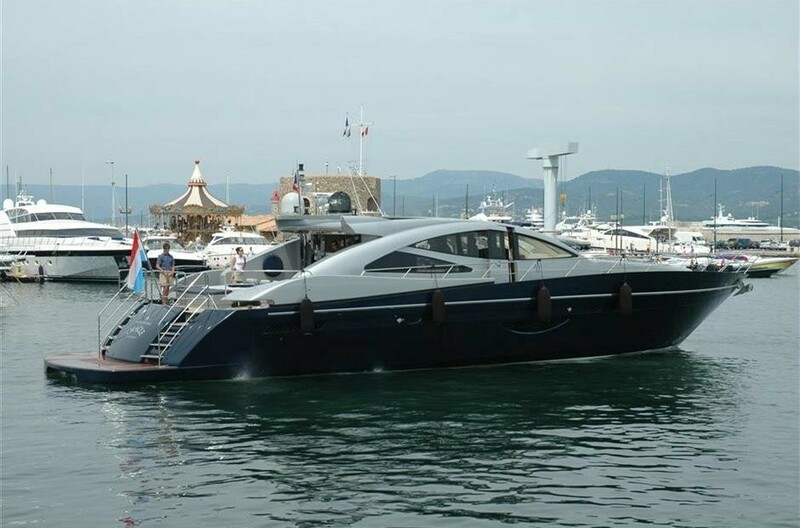 Motor yacht ORACLE STAR I has a beam of 6.45m (21.1ft) and a draft of 1.5m (4.11ft), she is powered by 2 x MTU engines that can reach up to 43 knots, the yacht cruises comfortably at 30 knots. 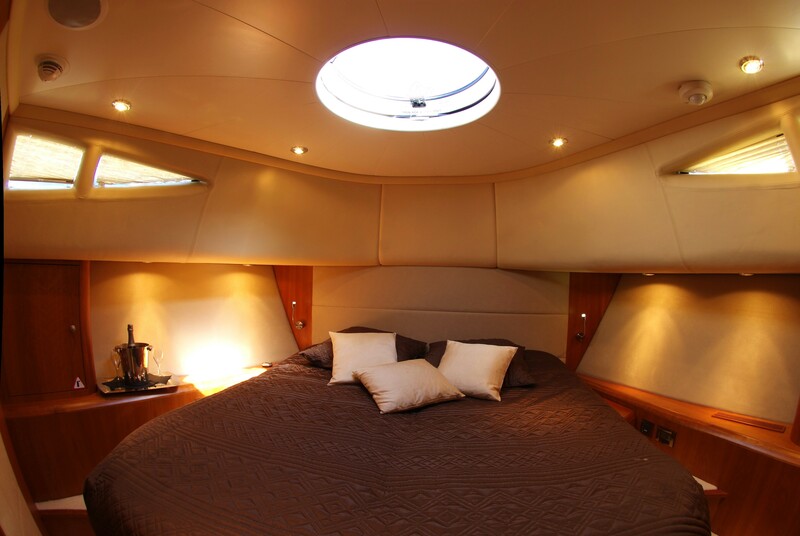 On board ORACLE II there are four luxury staterooms. 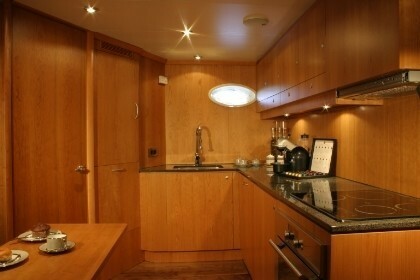 The master cabin is full beam at the aft and has a large dressing room/cupboard and private ensuite. 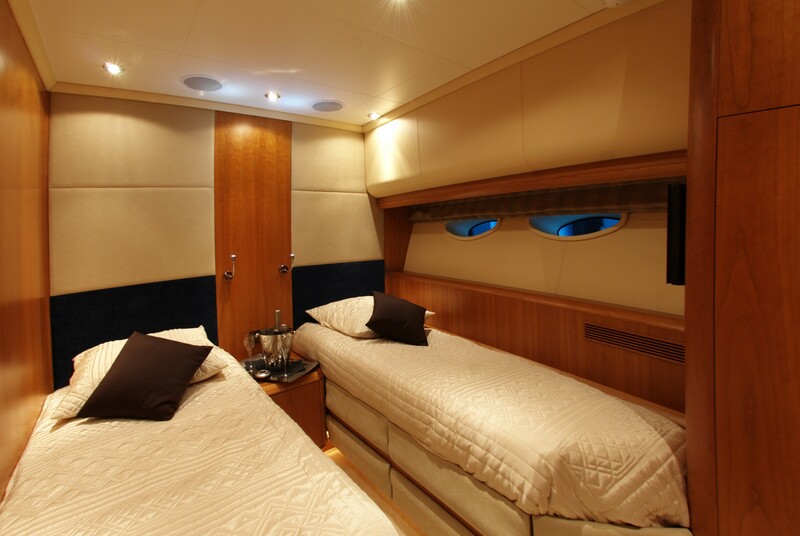 The VIP cabin is forward, and the guest rooms (one double and one twin) are port and starboard. 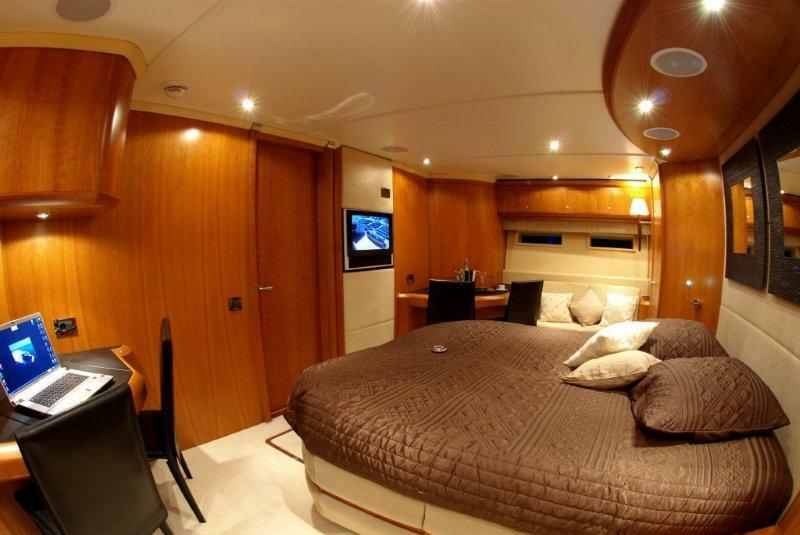 They all have their own private ensuites, and flat screen televisions with DVD players.